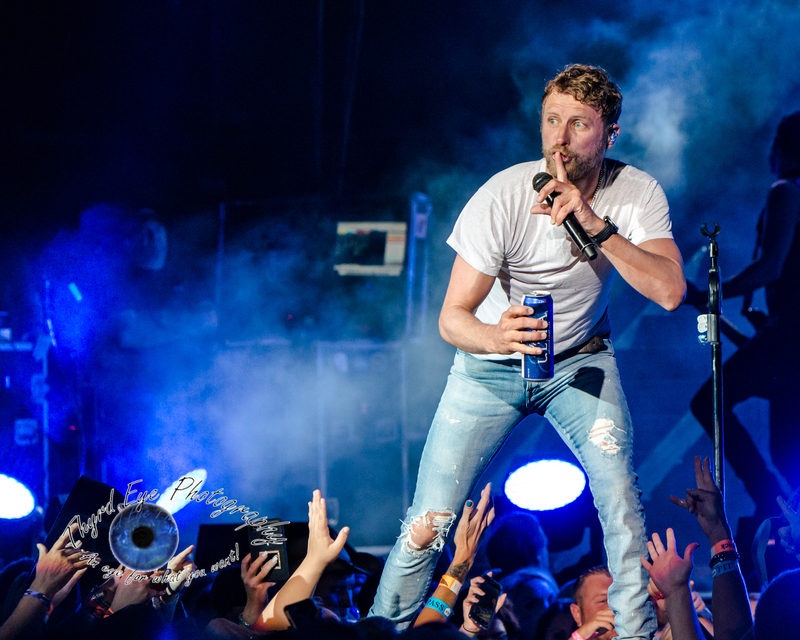 Country star Dierks Bentley did something he had never done in Saint Louis; sell out the Hollywood Casino Amphitheatre in Maryland Heights. With a personable persona, wild stage show and loyal fan base it was just a matter of time that he would accomplish this. 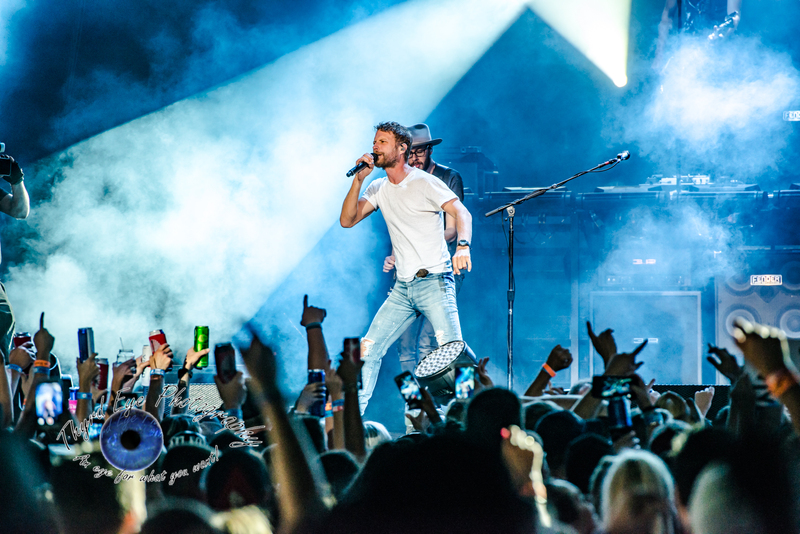 Dierks, in town to promote his latest album Black (released in May 2016) on his “What the Hell World Tour”, thanked the crowd and referenced the many shows it took to get to this point, including his first ever show at the old Mississippi Nights nightclub on Laclede’s Landing. 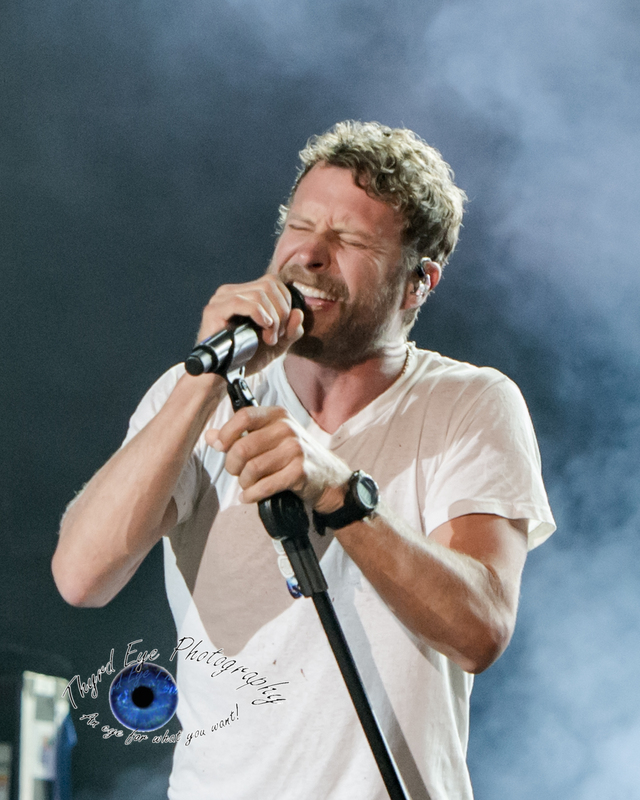 From that show in October of 2004, opening for Cross Canadian Ragweed, Dierks has played many venues in town with many experiences (including a rain shortened show under the Arch in 2012). But this seems special, almost a vindication for all his hard work over the years. With that Dierks (who actually opened his own show here- in disguise as part of the Bolo Boys Bluegrass Band to play 15 minutes of bluegrass songs – a Bentley personal favorite) gave the crowd a 90 minute raucous performance filled with #1 hits such as “5-1-5-0”, “Somewhere on a Beach”, “Different for Girls”, and “Am I The Only One”. Bentley also played early hits like ‘Every Mile a Memory”, “Free and Easy 9Down the Road I Go)” and his first #1 hit “What Was I Thinkin'”, which caused the lively crowd to party even harder. But it wasn’t just a playback like you’d get on a juke box (remember those, anybody? ), Bentley described the meanings behind some of the songs and how they held a personal touch to his heart. 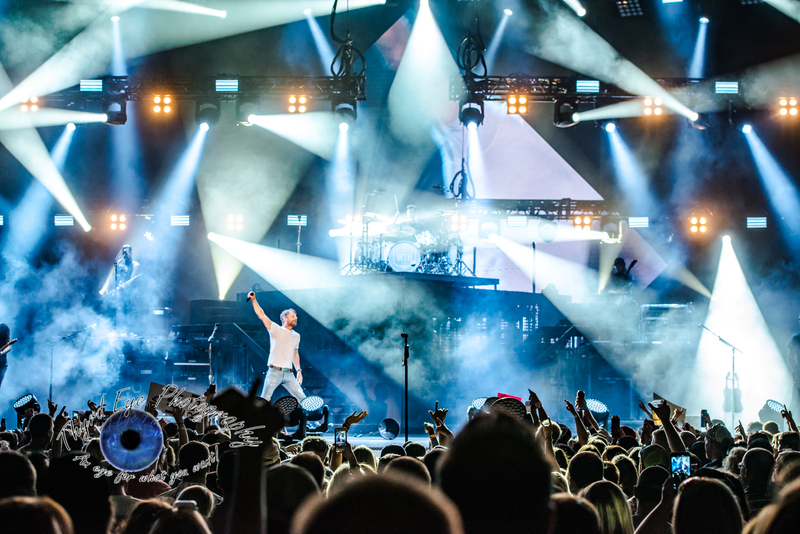 One particular song was “Riser” which he dedicated to his dad, a Missouri native who fought in World War II, and who taught him the “correct” way to pronounce the state. Bentley performed that song and “Home” from a satellite stage near the back of the reserved seats. He made his way to the satellite stage as “I Hold On” was playing out by his band. Bentley didn’t rush to the back like most artists do. He instead walked at an average to slow pace slapping hands and hugging people as he walked by, and gave special attention to a lady celebrating her 75th birthday at the show with a hug and a kiss. But for all the serious or even some would say sappy moments there were fun and light hearted moments as well. One included when he brought up a woman to shotgun a beer with. She walked way thinking she somehow won, but in reality she spilled most of the beer out the top all over her or just directly on the stage floor. It was funny, though and Bentley took the high road and didn’t point that out (it was too obvious). Bentley closed out the show, like he closes out every show, dressed as a airline captain for “Drunk on a Plane” as a nose of an aircraft popped through the stage riser. Of course, he had help from openers Cole Swindell and Jon Pardi for an evening ending party on the stage. Check out the gallery of photos after the setlist. 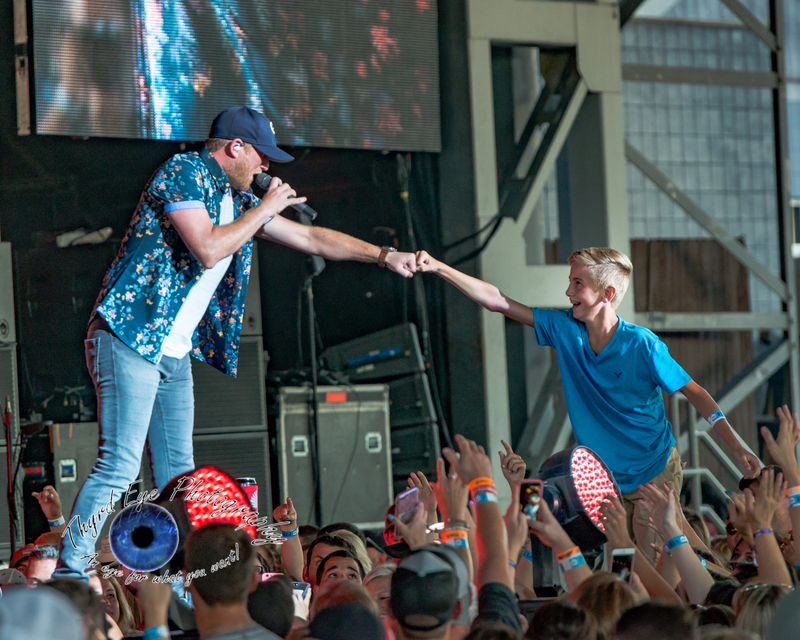 Cole Swindell performing in Saint Louis on Saturday. Photo by Sean Derrick/Thyrd Eye Photography. His best show yet. Loved the bluegrass songs in beginning. He should do that every time, to Cole and Jon’s performances. 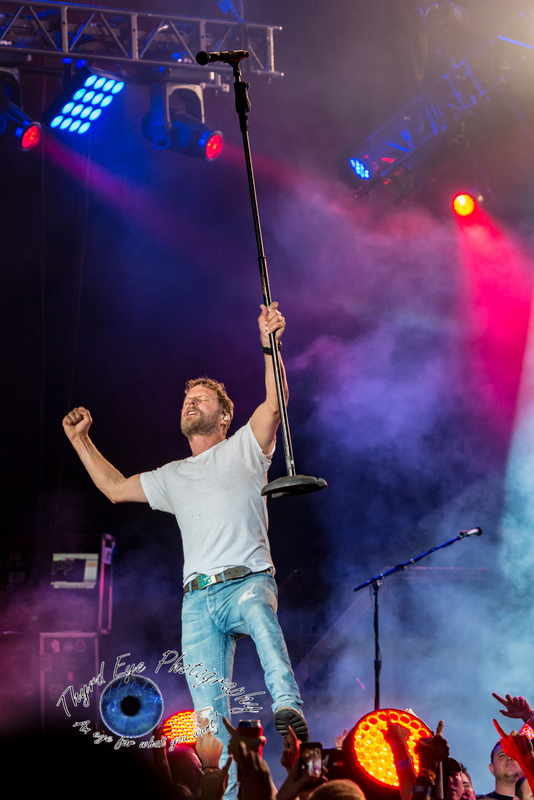 Then came Dierks for 90 minutes and had the crowd going from moment he hit the stage until the end with the plane. It was fantastic. The place had so many people it was crazy. Can’t wait til next year to see what he will come up with. Thanks for the comment. I am in agreement. Glad you liked the show!